Small - $44.99 Medium - $44.99 Large - $39.99 Only 4 left! We all know that Pikachu is the best. Even with all those Pokemon out there, he’s still number one! Yeah, Squirtle does get to wear those cool sunglasses (like in that Squirtle Squad episode) and Charmander has a tail that’s on fire. And what about Eevee? That’s one cute little Pokemon! There’s just something about Pikachu though. Maybe it’s his happy yellow color. Perhaps it’s those adorable little red cheeks of his. Wait, we know what it is! It’s the way he blasts lightning at his opponents! Don’t you wish that you had a Pikachu of your own? Well, maybe you can. All you need to do is convince your little one to become the electric-type Pokemon. 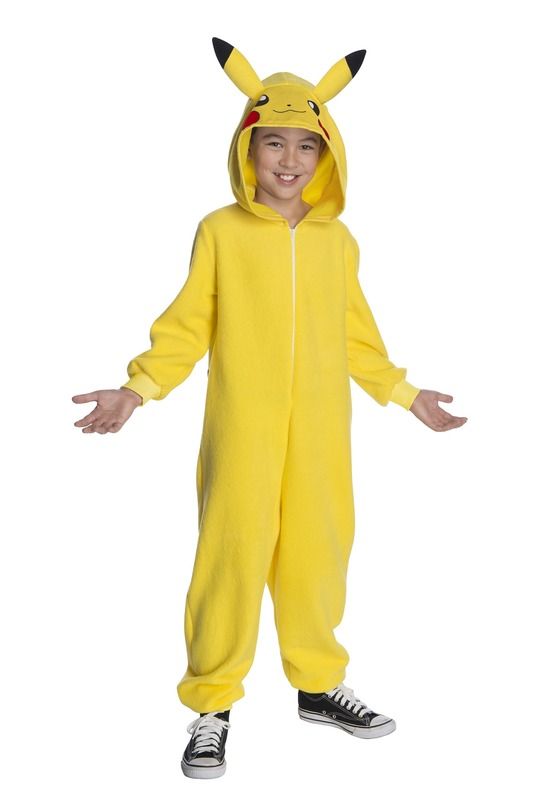 Now, that’s easy as pie with this officially licensed child Pokemon Pikachu jumpsuit costume. Just think about it! You could head out on your first Pokemon adventure with your child! This child costume comes with everything your little one needs to become the coolest critter of them all. It comes with a soft yellow jumpsuit that fits with a zipper in the front. Your child can even wear their everyday clothes under this costume to help keep warm on a chilly night. Of course, the best part of this costume is the hood! The hood has a pair of little rodent ears on top and Pikachu’s little face on the front. It even has the bright red cheeks that the little guy is known for. 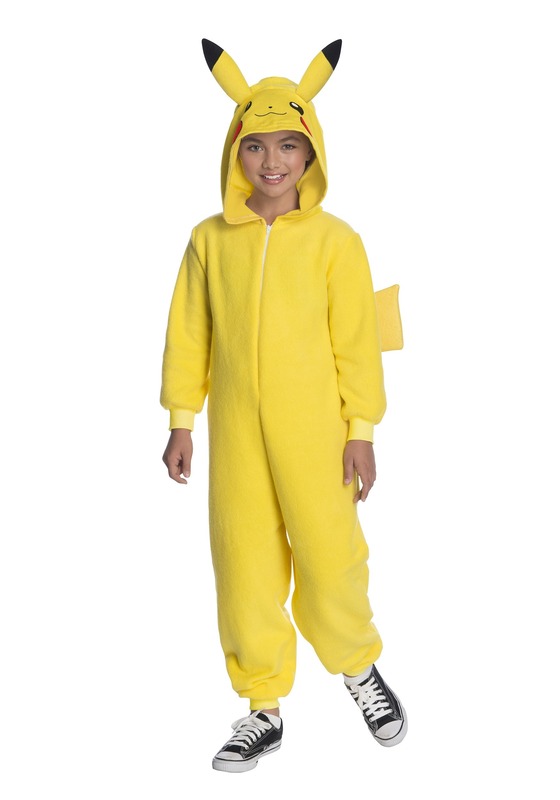 Once you have your child has this comfy jumpsuit on, it’s time to hit the Kanto region! You and your child can take the Pokemon world by storm. Maybe you can even defeat the Elite Four to win a championship… or you could just take your little one out for some trick or treating. My son absolutely loved it. The website made it so easy to figure out sizing and ordering couldn't have been easier. Now that Halloween is over he is using it for PJs. Its lovely and plush and very roomy. I bought M for my five year old and it's huge. Sadly he couldn't fit it, it was too big but we will use it as he grows so I'm happy with it. It only just fits my 10 year old. Really like this onesie, it's awesome. Overall the costume could be used but we measured carefully and it should have fit better according to the dimensions provided. It is cheaply made. The white zipper down the front is not covered by the yellow fabric, the ears do not stand upright in any way possible as shown, and the sleeves are too short for the size. The hood is huge and will cover your whole head and face. Might as well have the eyes see through so it could be worn that way!